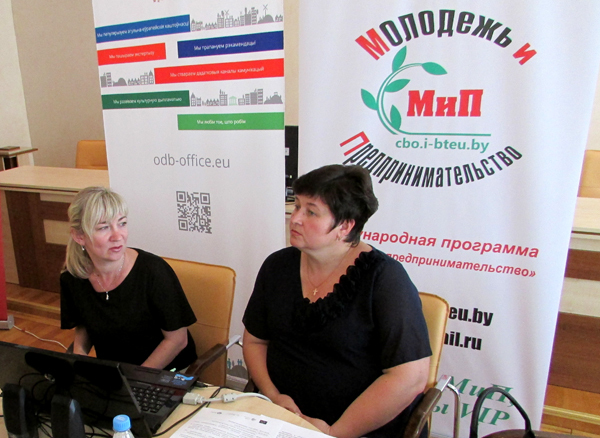 On May 31, 2016, a sectoral discussion was held in Homel, where participants deliberated on requirements for business education of Belarusian specialists in the fields of trade, entrepreneurship and banking, and assessed the professional competencies which today's university graduates need not only to be competitive in the labour market and find a prestigious job but also to create their own jobs or enterprises to provide new Belarusian goods or services. Sectoral discussion "New Trends, Approaches and Methods in Business Education" was organized by ODB Brussels (Belgium) with support from the Centre for Business Education of Belarusian Trade and Economics University of Customer Cooperatives бизнес-образования (Homel). Participants of the event agreed that modern approaches to education in the field of economics need to take into account today's crises, and that training of specialists should be taking advantage not just of the Bologna process, new information technologies and international exchange programmes but also of the expertise from leading home-grown businessmen, creators of successful international companies or startups, who can give lectures to students or take part in mentor meetings with best university students on par with the professors who read main disciplines in the curriculum. 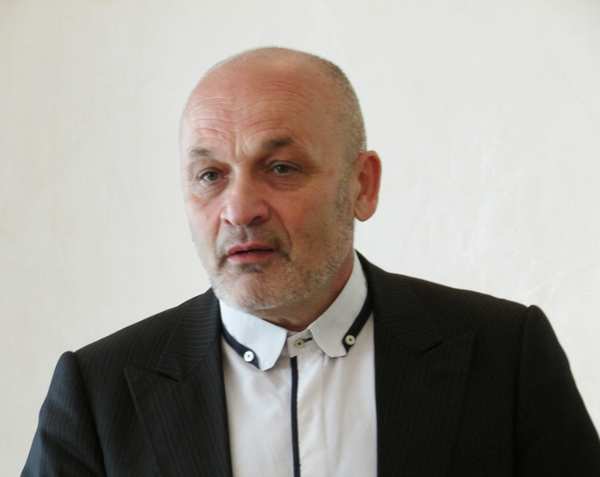 Naum Kats, representing Republican Confederation of Entrepreneurship (Belarus), noted that only personal examples of professional success and a frank dialogue between practicing professionals and students about challenges and potential avoidable business mistakes can motivate aspiring entrepreneurs to set up their own businesses and establish their first professional contacts in the business sector. Participants agreed that mentoring from leading businessmen is a widespread practice not only in universities in Western countries but also in Russia. "By providing business degrees, universities will help create simpler and cheaper ways of creating Belarusian products. They will make implementation of Belarusian business processes more understandable and cheap. Our young university graduates or students will not just look for a job – they will help to create them ". The participants discussed matters of employment of university graduates and the problems of youth unemployment, noting that, on the one hand, employers place high demands on candidates and are interested in hiring qualified professionals with previous work experience, while, on the other hand, the existing system created back in the Soviet times ensures that young graduates are guaranteed their first job but becomes irrelevant if graduates are willing to set up their own enterprise, create a startup or launch cheap manufacture of new Belarusian goods or services. 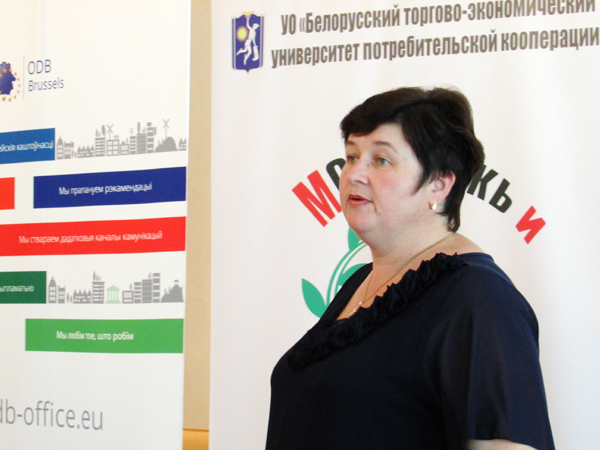 Liliya Kaluzhnaya, representative of "Unity", looked back on her past, when, a young graduate of Belarusian Trade and Economics University of Customer Cooperatives in 1991, she was ready together with her classmates to work in a situation of crisis. In her opinion, education and knowledge are key in resolving economic problems: "In 1991 I graduated as a specialists knowing how I had to do my job, even when everything around us had fallen apart. During the university classes we registered our own cooperatives, learned how various university disciplines taught were interconnected, we designed our own business plans, and supported our newly created enterprises with accounting - even though it was all just role play - and marketing services. Our university professors taught us business processes back in the Soviet times, creating the world view and the image of a contemporary businessman". 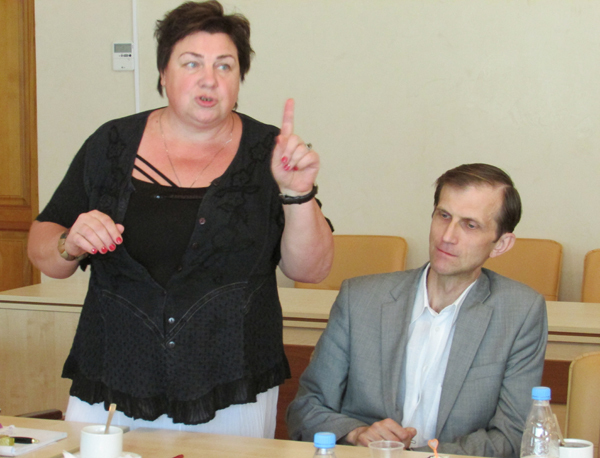 In the opinion of Tatsiana Aliakseenka, Assistant Professor and Candidate of Economics (Belarusian Trade and Economics University of Customer Cooperatives), one of the key questions today is to identify professional competencies for business degrees: communication skills, sales skills and knowledge about other cultures or strategic management, good analytical skills and logic. 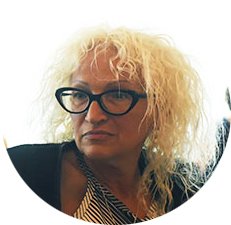 Tatsiana Aliakseenka, an expert, notes that some skills such as teamwork or customer communication skills in sales can be acquired in a matter of months, while knowledge of fundamental disciplines, which serves as a measure of a good economist able to solve complex problems, can only be provided by the system of university education: "Taking into account the relative value, good economy, good management, good companies only rely on mathematicians. Today a good banker is a mathematician. What is a mathematician? It's someone who can build a logical chain, a relationship. Often there are no analytics involved in economics: we can talk about degrees in economics, legal degrees, but when there are no analytical professionals, it's a problem fore the labour market and the market of services". Iryna Trusevich, Head of the Centre for Business Education of Belarusian Trade and Economics University of Customer Cooperatives, who presented a training programme "Youth and Entrepreneurship", noted that the programme uses effective ways of encouraging students' business initiatives: a competition of business projects, an international entrepreneurial championship, seminars on startup creation, and trainings on personal and career growth. At the same time the labour market, as well as the education market, is currently being transformed: it is becoming increasingly mobile, remote and cross-border. Today Belarusian Trade and Economics University of Customer Cooperatives has 4.5 thousand Bachelor's students, more than 270 Master's students and 14 PhD students. The university participates in international student exchange programmes, trains crisis managers (specialized in business rescue and bankruptcy) and retrains specialists in "anti-crises enterprise management". The university is interested in promoting initiatives by talented students, supporting student research and skills development necessary to establish international business contacts and develop private business. The event was organized within the framework of the Clearing House programme.